But the Norwegian Foreign Minister has no plans himself to visit Moscow. «High North - Low Tension» is a long-standing slogan for Norway’s international relations in polar regions. Even in times of colder political winds between Russia and the West, Norway says the door will stay open for Arctic cooperation. The Ministry of Foreign Affairs in Oslo now confirms to the Barents Observer that Sergey Lavrov is invited to the Arctic Frontiers conference in Tromsø next January. So are 11 other foreign ministers from around the world. Time will show who will enter the stage in Norway’s Arctic capital. Lavrov has not been in Norway since October 2014, then celebrating the 70 years anniversary of the Red Army’s liberation of Norway’s northernmost county, Finnmark. «Russia´s Foreign Minister Lavrov is invited to Arctic Frontiers together with foreign ministers from several other countries, and as a representative of one of the key countries in the Arctic,» says Deputy Director of Communications, Kristin Enstad, with the Foreign Ministry. Børge Brende, however, has no plans to visit Lavrov anyplace home in Russia. «There are no concrete plans for the Foreign Minister to visit Russia now,» Kristin Enstad says. During the last two and a half years, only one Norwegian Minister has visited Russia. Minister of Fisheries, Per Sandberg, went to St. Petersburg for the North Atlantic Fisheries Ministers’ Conference in May this year. The Norwegian Foreign Minister was last time in Moscow in January 2014. High profile political talks between the two Arctic neighbours Norway and Russia were put on hold after the annexation of Crimea in March 2014. The two ministers have, however, met on other occasions, including at the Barents Council meeting in Rovaniemi, Finland last autumn. The annual Arctic Frontiers conference in Tromsø is one of the largest gatherings for circumpolar talks in the cross-roads between research, politics and business. «It is important to invite the Russian Foreign Minister to Norway as our two countries have many common interests in the Arctic and our conference is an important arena for dialogue,» says conference manager Ole Øvretveit to the Barents Observer. If Sergey Lavrov accepts the invitation, he is likely to speak at UiT The Arctic University of Norway on the 23rd or 24th of January during the Policy part of the conference. Manager Ole Øvretveit. Photo: Arctic Frontiers. 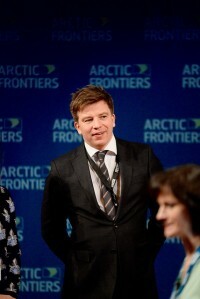 “Arctic Frontiers has since the start been committed to facilitate for meetings between Norwegian and Russian politicians, business community and researchers,” Øvretveit explains. “Good dialog with Russia is important for Arctic cooperation,” he says and point to the fact that it is in the north the two countries have common challenges. Arguing that increased global focus on the Arctic makes it even more important to have a good and frequent dialogue with Russia, Ole Øvretveit says Arctic Frontiers wants to be an important meeting place for all who are concerned about Arctic developments. “In comparison with other international Arctic conferences, we are the biggest held in the Arctic where participants will be reminded about the Norwegian Arctic, where people live and it can’t be preserved, businesses must certainly take place. Similar questions are also important in the Russian north with its significant population,” Øvretveit elaborates. For 2017, the organizers of Arctic Frontiers have teamed up with partners targeting key communities in Moscow, St. Petersburg, Arkhangelsk, Nenets and Murmansk to get as many participants from Russia as possible. Ole Øvretveit underlines that the conference will not only be for ministers, but also for collaborative partners on the regional level. In addition to the foreign ministers invited, regional and local discussion forums are planned. Arctic Frontiers conferance believes the Arctic can learn from the Barents cooperation, in particular about the regional pillar of collaboration. “We will arrange for regional and local discussion forums where you will see what the Arctic cooperation can learn from the Barents cooperation, in particular the regional pillar,” Ole Øvretveit says. In addition to Russia’s Sergey Lavrov, the foreign ministers from 11 other countries are invited by Børge Brende; Argentina, Australia, Canada, France, Italy, Japan, Malta, the Netherlands, New Zealand, Panama, Singapore and South-Korea. Although some of the nations are geographically located far away from the Arctic, they all have shipping in common. With melting sea ice, sailings and industrial development in Arctic waters are expected to increase in the years to come. 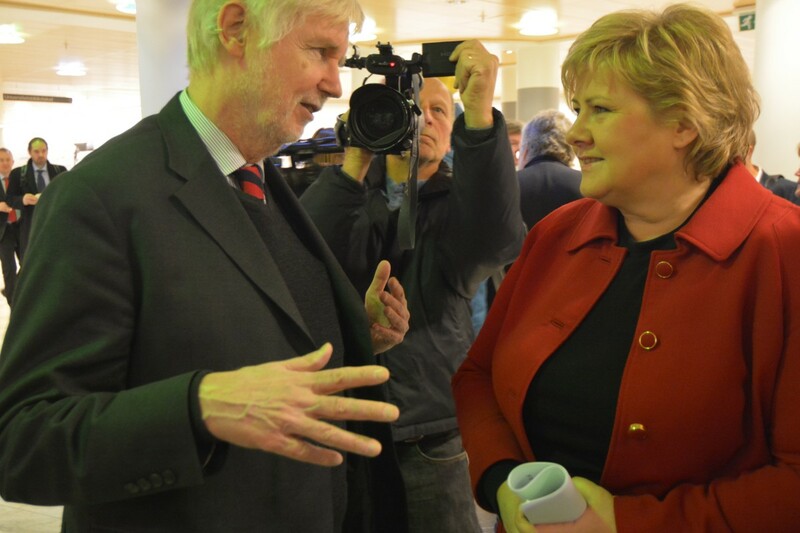 Norway’s Prime Minister Erna Solberg has invited her Nordic Prime Minister colleagues to Tromsø for the Arctic Frontiers that takes place from January 22nd to 27th.